Prime Ministers always talk about how tough it is to govern Canada. The House of Commons can be an ugly place. The hours a PM spends on paperwork, in meetings, and travelling are brutal. The job is hell on families. Tim Cook, First World War specialist at the Canadian War Museum and the best of the country’s new generation of military historians, has written a new book about two Prime Ministers who had very, very bad days. It’s just been shortlisted for the Charles Taylor Prize for literary non-fiction. Warlords: Borden, Mackenzie King and Canada’s World Wars, looks at the two very different men who piloted the country through the great conflicts of the 20th century. 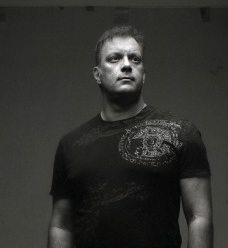 (Read more about the author and the book in an Ottawa Magazine profile published in the September 2012 edition). First, there was Robert Borden, a big, very Victorian man who had pried power out of the hands of Wilfrid Laurier, only to be stuck with the job of leading the nation through a conflict that touched virtually every home with the loss or maiming of a loved one. I suspect Borden’s worst day was aboard the Calgarian, a ship taking him to England in February, 1917. In Ottawa, the Parliament Building was a burned-out ruin. The country was split on whether troops should be drafted and, in Quebec, there was very little support for the war. The Allies were losing. The Americans were still neutral, the Russian government had just been overthrown, and there was a good chance the German divisions that were grinding away in Poland would be freed to come west against the British and French. Tim Cook won the Charles Taylor Prize in 2009 for 'Shock Troops.' He's now in the running for the 'Warlords: Borden, Mackenzie King and Canada’s World Wars.' Portrait by Michael Tardioli, SPAO Studio 2012. Borden’s first defence minister, Sam Hughes was, not to put too fine a point on it, insane. Now he sat in the back benches, making as much trouble as possible back home. Borden’s health had already been broken. He suffered from vicious sciatica. And his stateroom was so small that he ended up sleeping on a couch in the ship’s lounge. Yet he soldiered on, cobbling together a successful coalition government and winning Canada a place at the peace talks. And, though he seemed to leave office a broken man, he lived until 1937. Death mercifully relieved him of the anguish of living through the Second World War. The task of leading the country through that conflict fell to a man who relied on manipulation, not force, to succeed. War is direct confrontation with uncertain outcomes, and therefore was anathema to King. And, again, a Prime Minister was placed under strains that are almost unimaginable now. Take the events of June, 1940. The German army had over-run the Low Countries. Paris was about to fall and the French army was broken. And, in the midst of this crisis, when the British were the only “allies” left standing and even King was sure they were beaten, Canada’s defence minister was killed in a plane crash. Tough days indeed, even with the benefit of hindsight. And we know that it turned out alright. Cook makes a compelling case that King couldn’t — or didn’t — care about the soldiers. During Borden’s trips to England, the Prime Minister made a point of visiting soldiers’ hospitals. The visits left him stricken and horrified. King — for whatever reasons, and, with a man with so many neuroses, the list could be quote long — stayed away from wounded soldiers. And, as Cook points out, he didn’t fret over them in the abstract, either. Most tellingly, King doesn’t mention them in his diary. Cook does deal a little too quickly with the Conscription Crisis of 1944, and he misses the toll that it took on King. He also downplays the impact of the Terrace military mutiny and the “revolt of the generals” on King and his policies. King worked through the entire war to avoid the sort of conscription crisis that drove Wilfrid Laurier into the political wilderness. In the fall of 1944, when Canadians were dying in large numbers in the Scheldt after having been bled in northern France, most of the defence establishment was convinced conscription was the only answer to manpower problems. King wasn’t, and he had some good reasons that are supported by modern military scholarship. The army was top-heavy. Many of its problems had more to do with the logistics of getting men to the front than with manpower. And the system of feeding replacement troops into established units turned out to be a massacre of the innocents. Casualty rates among replacements were abnormally high because the new men hadn’t trained with, or been bonded to, the others in their unit. There really was a concentrated effort by some of the country’s leading generals to pressure King by threatening to resign. And the mutiny at Terrace, while, as Cook notes, lasted just a few days, did spread into the lower mainland, Quebec, and, a few weeks later, broke out again in Ontario. At the time, it seemed very serious indeed. Like Borden, King fired his defence minister and set his own course. King’s colleagues said he was never the same after the Conscription Crisis. He held on to power for another five years simply because he had nowhere else to go and had no idea about how to be anything but Prime Minister. Cook’s book is another great read. He took on two very tough and complicated cases when he set out to write the wartime biographies of Borden and King. 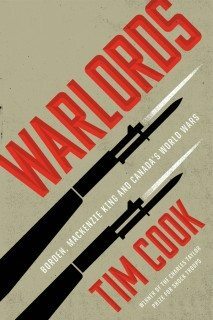 The book could have easily bogged down in military detail or political minutia, but Cook keeps the story moving, making it a great read for historians, people interested in wartime Canada, and for those who love books with strong, complex and interesting characters.